New Delhi, April 24th, 2012: Food is without doubt one of the best ways to experience a country. And if the country happens to be the island nation of Cyprus in the Mediterranean, known for its fabulous cuisine, you do not need a better excuse. 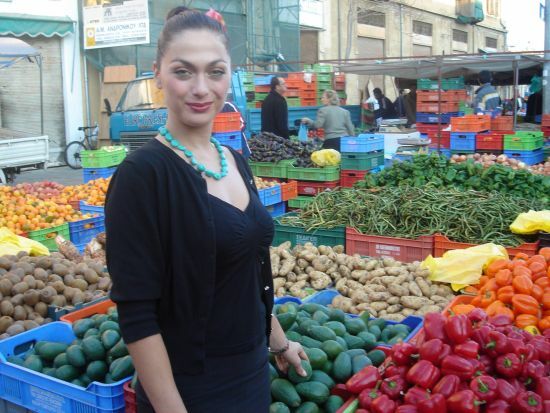 Discover the exotic food of Cyprus with resident Tonia Buxton on a new show MY CYPRIOT KITCHEN only on India’s favourite lifestyle channel – TLC. Every episode unravels mouth watering delicacies as Tonia takes it upon herself to show the world how to cook, Cyprus style! MY CYPRIOT KITCHEN will premiere on May 1st and will air every night at 10 pm, only on TLC. Tonia visits the various regions of Cyprus known for its variety of produce and exciting cuisine, learning how to cook everything from ‘Tahini Soup’ to lamb ‘Youvetsi’ and Cypriot smoked pork called ’Lounza.’ Tonia uses the opportunity to travel across her homeland and relive childhood memories as she gets a taste of sweet delicacies such as cherry Glyko and carob honey toffee. To finish off in style, Tonia offers to create the best of Cyprus for a selection of VVIPs, a popo singer, a TV presenter and a much-loved actor. She travels the island to gather the best ingredients before serving her three-course dinner to her special guests. Watch MY CYPRIOT KITCHEN starting this April, only on TLC!